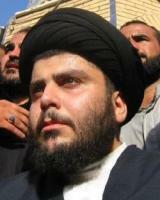 See the gallery for quotes by Muqtada al Sadr. You can to use those 8 images of quotes as a desktop wallpapers. If the government fails to listen to your demands, then you will decide what is best for you. Let the whole world hear that we reject America. No, no to the occupier. Make your enemy afraid, for it is impossible to remain quiet about their moral offences. May God preserve you and watch over you. Our rejection of the occupier at heart is resistance. 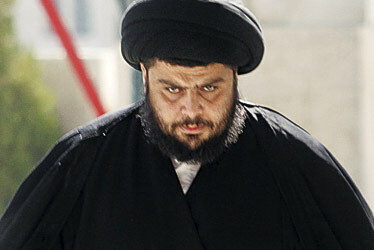 The Americans were never interested in what was best for the Shiites. The main reason for the armed resistance is the American military presence. The resistance does not mean that everyone can carry a weapon. The weapon is only for the people of the weapons. The resistance will be exclusively conducted by only one group. This new group will be defined soon by me. The U.S. will ignore the opinion of the Iraqi people and it will compose the new government according to its own desires. We don't kill Iraqis - our hands do not kill Iraqis. But we target only the occupier with all the means of resistance. We have not forgotten the occupier. We remain a resistance. Whatever struggle happened between brothers, let us forget about it and turn the page forever and live united. When I die, don't let my death stop the resistance. Enough of this occupation, terror and abuse. We are not in need of your help. We are able to combat and defeat terrorism, and achieve unity. We are not in need of your bases, your experience and etc. If it does not serve the Iraqi people, there are only political means that must be followed to reform the government - a new government that we must give a chance to prove that it is there to serve the people. 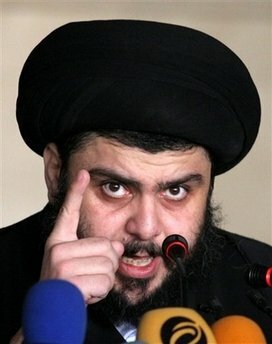 Much more quotes by Muqtada al Sadr below the page. Just because we're rid of Saddam and the evil Batthists doesn't mean the occupation is a good thing. Our salvation from Saddam was only with the grace of God. Obama has no power to change American policy because there are people who specialize in drawing these policies, which have been and still are hostile towards Islam. 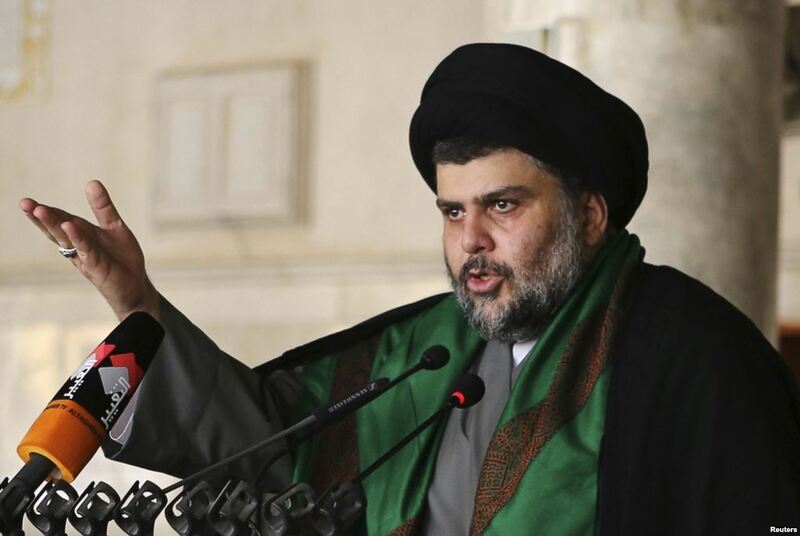 Out of my desire to complete Iraq's independence and to finish the withdrawal of the occupation forces from our holy lands, I am obliged to halt military operations of the honest Iraqi resistance until the withdrawal of the occupation forces is complete. So, if I were arrested or if I were killed, then after me the issues that American fears about me wouldn't exist anymore - and I couldn't tell you what those issues are. When the Americans advance, we harass and retreat, fire from new positions and then retreat again. If the attacking force is too big, we call for support. Who is against democracy? Is it the one who calls for peaceful resistance, or the one who bombs people, sheds their blood and leads them away from the leaders under feeble and dirty pretexts? Do not betray the people. The little serpent has left, and the great serpent has come. We will not stop resisting the occupation until liberation or martyrdom. Go forth from our holy land and go back to your families who are waiting for you impatiently, that you and we, as well, lead a peaceful life together. 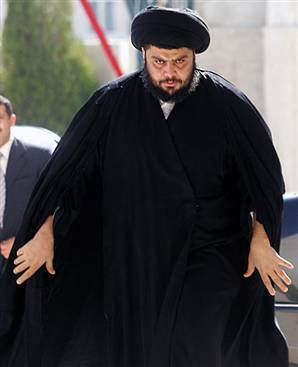 All Iraqis should live under one roof and for one goal. 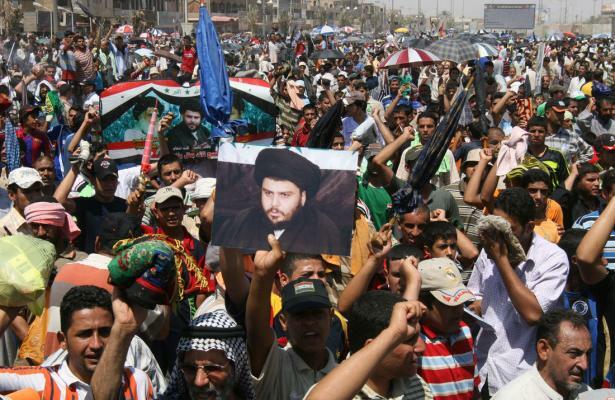 America has shown its evil intentions, and the proud Iraqi people cannot accept it. They must defend their rights by any means they see fit. Anyone supported by the United States is cursed by us. Anyone who seeks to be involved in politics should join hands with America. Divisiveness is not good for the people. Everything that happens is determined by God. God willing, the occupation forces will be driven out as happened in Vietnam. Help me by whatever you are pleased to do in your provinces. I am confident that you brothers in parliament will champion the will of the people over that of the occupier. I fear only God, all praises to Him. I have a red line against the Americans. I have said it many times: the policy of exclusion and the policy of marginalization must end in Iraq. 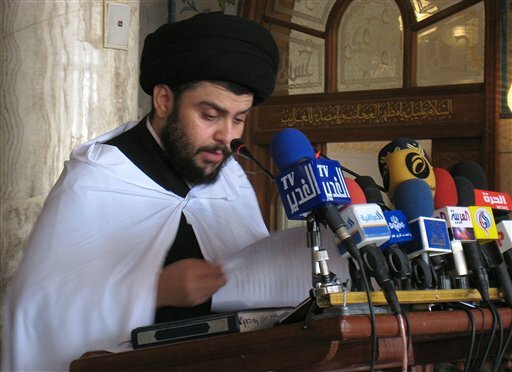 I will continue to defend Najaf as it is the holiest place. I will remain in the city until the last drop of my blood has been spilled. I will deal with the politicians in a political way and with the nonpoliticians in a nonpolitical way. For me, writing stories is one way of feeling connected to the universe and God. God is the biggest storyteller, and when we create stories, we connect with him and with each other across cultural, religious and gender boundaries. I find families intriguing, perhaps because I did not grow up in one. I was raised by a feminist, independent, single mother, a divorcee. I spent my entire childhood observing people. I still do. I write as if I were drunk. It is a process of intuition rather than placing myself above my story like a puppeteer pulling strings. For me, it's a scary, chaotic process over which I have little control. Words demand other words, characters resist me.